As we have since July 2006, each Friday we’ll post our sampling of cigar news and other items of interest from the week. Below is our latest, which is the 519th in the series. 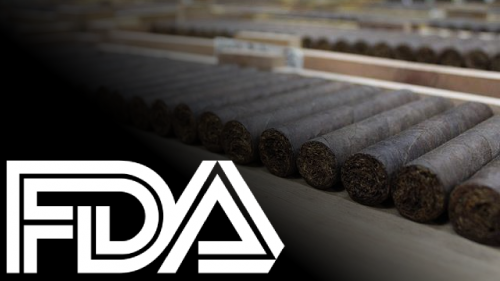 2) As a recent article points out, the FDA, the agency that now regulates handmade cigars, even has trouble applying common sense to food regulation. For example, “foods like nuts and avocados are incredibly healthy for you. However, thanks to the FDA standards, these healthy fats cannot be marketed to consumers as ‘healthy’ products.” Meanwhile, low-fat, but high-sugar, foods like Frosted Flakes cereal and Pop Tarts are considered healthier under the FDA’s definition. 3) La Aurora has announced a new line called ADN Dominicano, which features Andullo tobacco—a leaf that is “hard-to-work” and offers an “inspiring aroma and sweetness.” The rest of the blend includes filler tobaccos from Nicaragua, Pennsylvania, and the Cibao Valley of the Dominican Republic; a Cameroon binder; and a Cibao wrapper. Four vitolas will be available: Churchill, Gran Toro, Robusto, and Toro. 4) Famous Smoke Shop is expanding its exclusive Romeo y Julieta series with a new Habano-wrapped line called House of Verona, which will be available in five vitolas: Churchill, Robusto, Corona, Short Magnum, and Toro. Previous collaborations between Famous and the Altadis-made Romeo y Julieta brand include House of Montague and House of Capulet. Each House of Verona format will retail for about $5 apiece. 5) From the Archives: With another bill to protect cigar rights introduced (see item #1), now is a good time to revisit how to effectively advocate for your rights. Just taking the time to contact your legislators is step one, but once you’ve decided to do it, here are some suggestions for maximizing your effectiveness. 6) Deal of the Week: Mardi Gras is just around the corner, and this Mardi Gras sampler will load you up with ten good smokes for just $30: EPC NWC Selectos de Oro, La Aurora Connecticut Robusto, La Jugada Habano, Casa Magna, Alec Bradley Prensado, Recluse Draconian, Espinosa Alpha Dog, Wild Bunch Crazy Jack, La Palina Oscuro, and Asylum Dragon’s Milk. Act quickly. This deal is likely to sell out, and the cigars would otherwise run you almost $90.